American Elm is one of North America’s best-known trees, famous for its arching vase-like growth form, very large size, long life, strong (difficult to split) wood, and ideal growth form. It is something of a generalist species. It especially favours seasonally wet soils, but takes to almost any type of soil and tolerates urban conditions well. 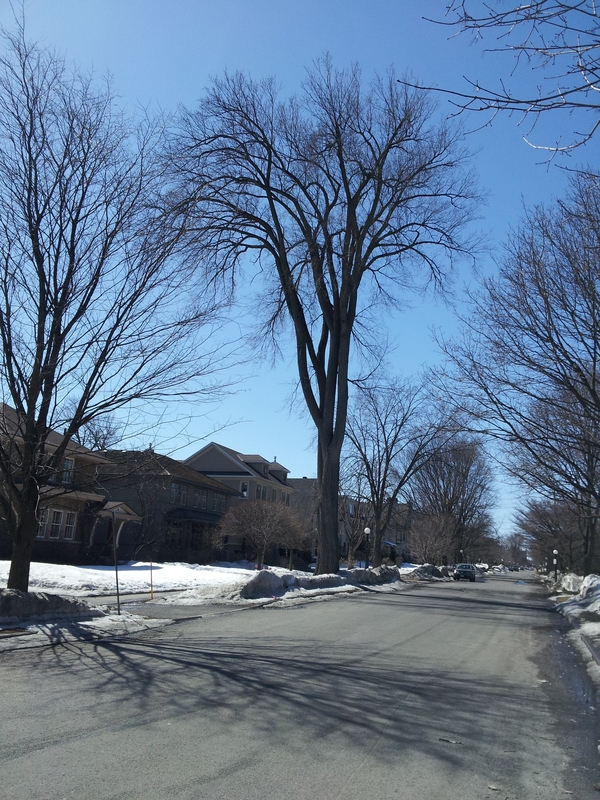 In Ottawa, American Elm is one of the most commonly encountered trees in rural areas. Most large trees have been wiped out by the non-native Dutch Elm Disease, which was introduced to North America in the 20th century, but scattered large trees can still be encountered. Although the death rate due to Dutch Elm Disease is still high, there is hope for resistant trees to emerge (even without intentional breeding programs) through natural selection, since American Elms grow very fast and are remarkably aggressive in reproduction. Non-native Relatives: Siberian Elm (Ulmus pumila) which is fairly common in North America, and several other species to a lesser degree. Commonly confused with: Rock Elm: a tree with often corky bark on twigs, and sometimes narrow upright crown, otherwise superficially similar to American Elm. Buds and flowers/fruit, however, are distinctively different. Slippery Elm: a tree that has reddish hairs on buds and stouter twigs. Its leaves are larger, darker green, with smaller teeth, and distinctively droop downwards. 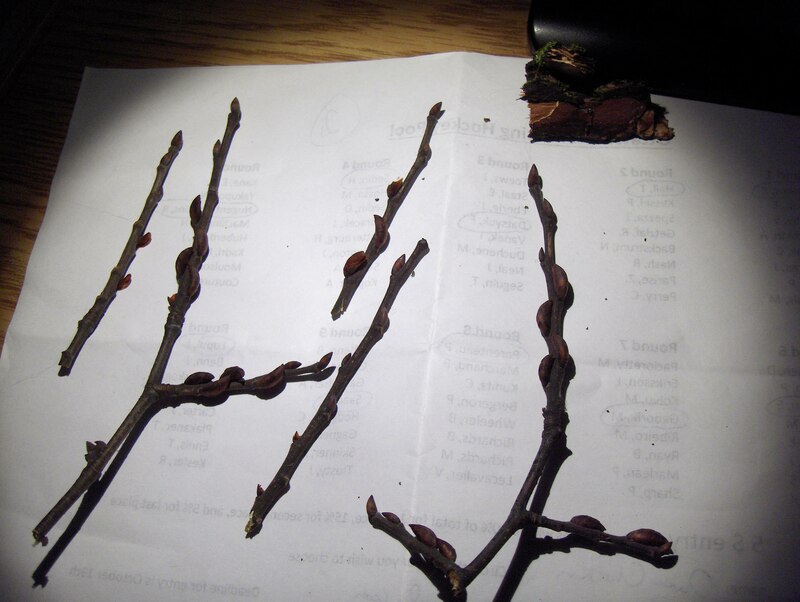 Siberian Elm: a tree with very thin twigs, small roundish buds, and small leaves. It hybridizes with Slippery Elm, and the offspring has intermediate characteristics of both rather different-looking parents.